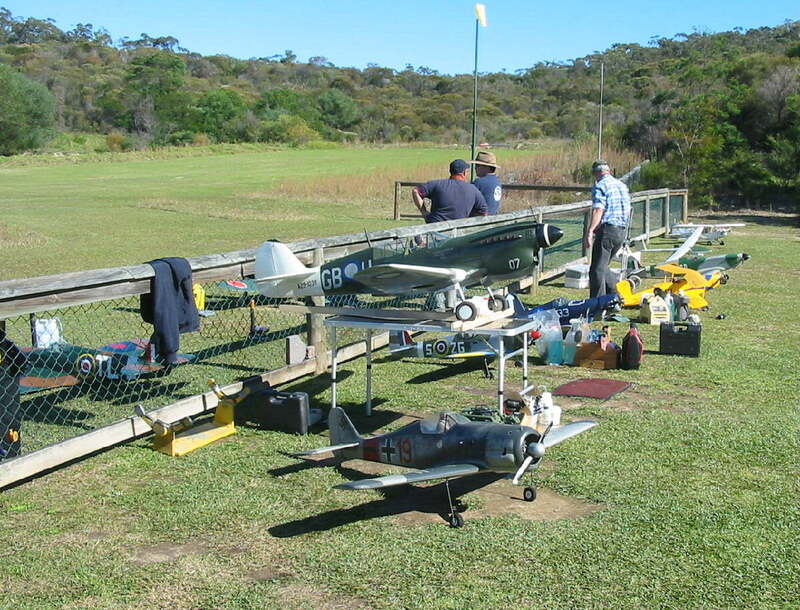 The Warringah Radio Control Society is a flying club located at Belrose on Sydney's North Shore. Our history dates back to the 1960s, but we were formally established as WRCS in 1973. We moved to our current site in the mid 70s, after securing permission to replant and regenerate what was, at the time, a disused quarry and landfill site. Our challenge was to change a major scar on the landscape (see the article HERE for some pictures of what we were dealing with) back into an area of natural native beauty which can be enjoyed by the local wildlife, as well as by walkers and our club members. The Telegraph carried a review of our history which you can read by clicking HERE. We have been preserving the site for around 40 years, now, growing and replanting native bush, clearing and maintaining fire trails and emergency vehicle access, and keeping an eye on native wildlife in the area. Interestingly, during bushfires, our cleared landing strip becomes a haven for land animals seeking to shelter from the heat and smoke. It's fascinating to see them put their differences aside in favour of the more important issue of self-preservation! The Club caters to modellers with electric, petrol, diesel and methanol powered fixed wing aircraft and helicopters, as well as gliders, multirotors and more unusual flying machines. Members fly at the Club field 7 days a week, and enjoy facilities including barbeques, toilets, several sheds & benches for models as well as seats and a regularly mown landing strip. A separate hovering area is provided for helicopter and multirotor practice. WRCS is affiliated with Miniature Aero Sports of NSW Inc. for insurance purposes, and has a number of qualified instructors on hand, as well as professional instructors who teach on their own aircraft & helicopter models.